You are looking at one of the most reviled album covers in the history of metal. Riot had a remarkably long run. Founded in 1975, they took a little break in the mid-eighties before regrouping. They remained active until founding member Mark Reale’s death in early 2012. Their third album, Fire Down Under, was the record that never should have happened. They were dropped from their label because the record was allegedly “too heavy,” but were then picked up by Elektra. It did pretty well, riding the early eighties metal wave into the charts. But sweet baby seals, that cover. Riot’s mascot, Johnny, was some kind of battle axe-wielding seal man. Iron Maiden had a zombie; Dio had a demon; Ozzy had Ozzy. What the hell is this baby seal crap? The Guys In Black Tee Shirts Who Jam were not amused. 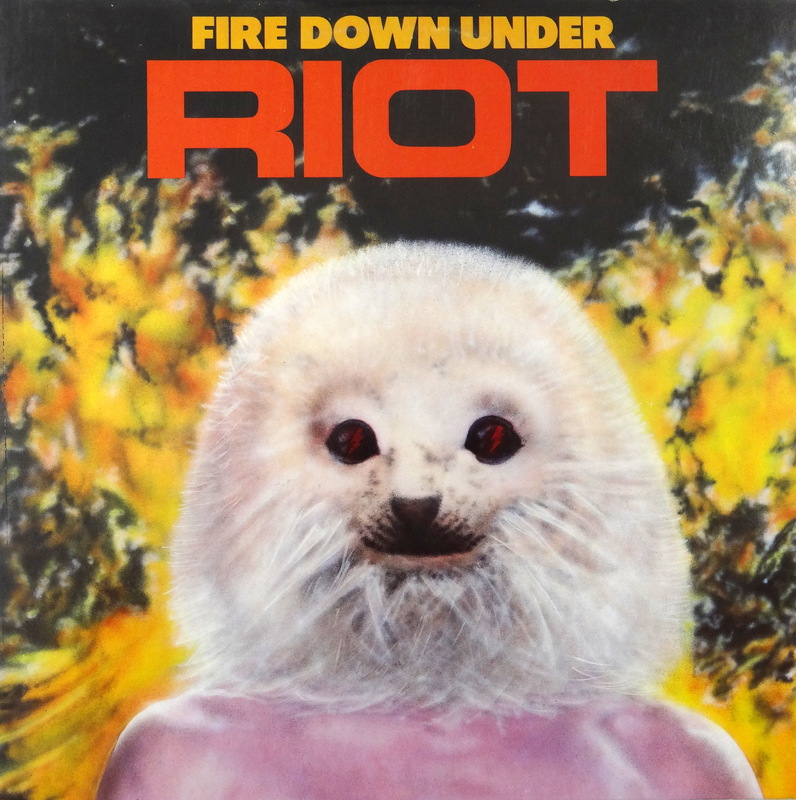 And that’s the short, sad tale of Riot’s induction into the Bad Album Cover Hall of Fame . That is one bad album cover. While it is rather creepy, it is just like puzzling creepy, not “melt your face, we’re so badass” creepy.